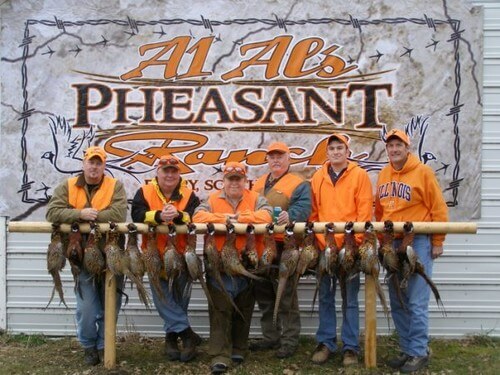 Welcome to the finest pheasant hunting in the country! 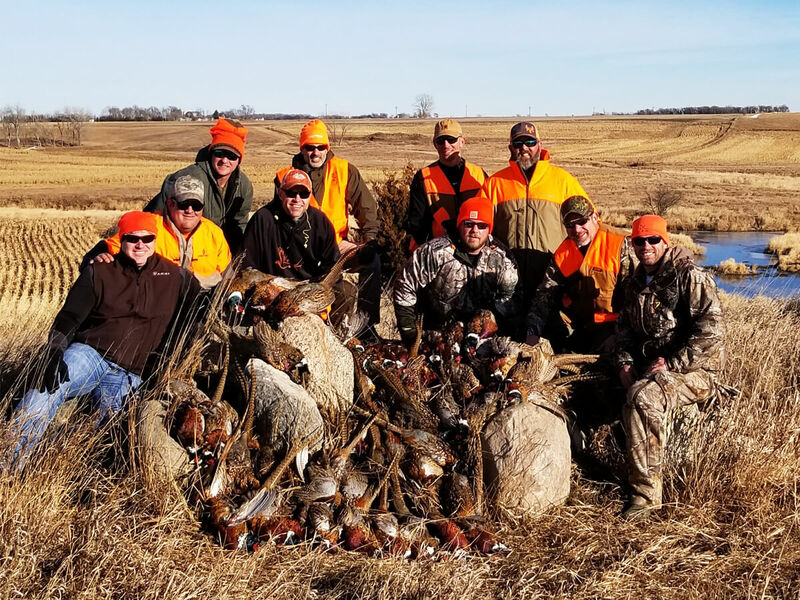 2019 Pheasant Hunting Season is Here! We have an upscale state of the art 20,000 square foot lodge that has 20 bedrooms all with private bathrooms, a bar/recreation room with multiple televisions, bar games ranging from pool to darts, a grand hall for meals and relaxing, centered around an amazing stone fireplace, as well as a conference room and two private commons areas. 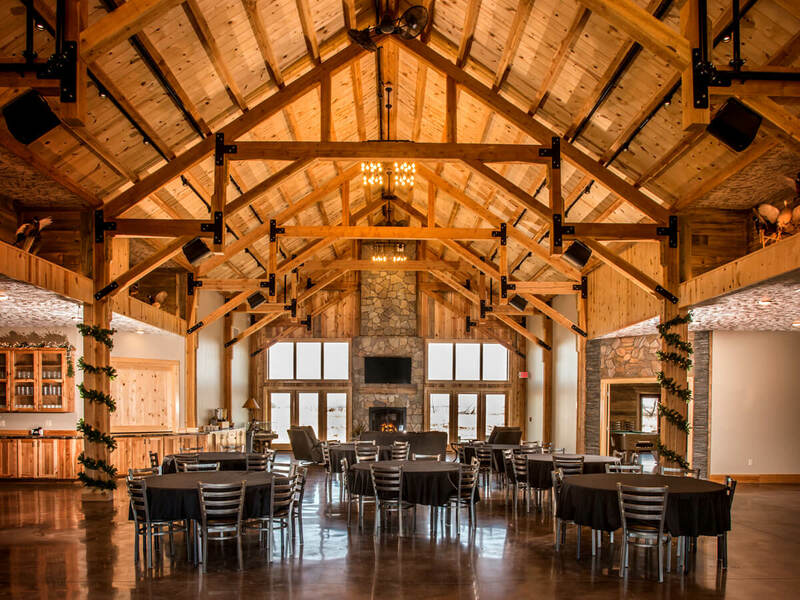 We are also open in the off-season to host your business meetings, corporate retreats, and family events such as wedding receptions, reunions, graduations, banquets and holiday parties. Your South Dakota pheasant hunting trip will be concentrated on a variety of CRP grasses, food plots, corn, sorghum, native prairie land, tree belts, and cattails. This prime pheasant habitat creates a bountiful environment for ring neck pheasants as well as excellent shooting conditions for even the most experienced wing-shooter. We have an incomparable staff that has been forging relationships with hunters from around the country since 2005. 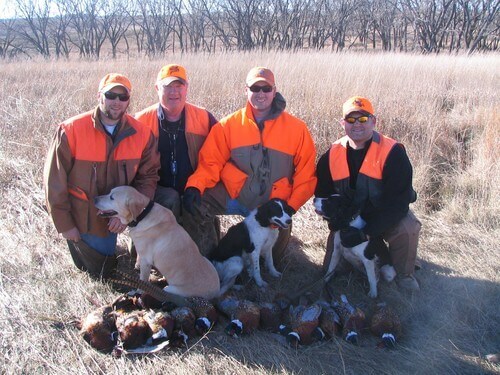 Our experienced pheasant hunting guides will position you in the midst of multiple flushes of wild South Dakota ring neck pheasants. 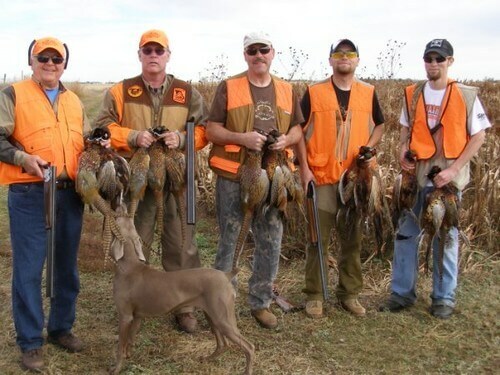 All Inclusive hunts include lodging, 3 meals per day plus snacks, professional experienced guides, top notch bird dogs, sporting clay range, bird processing, bird packaging, and transportation. 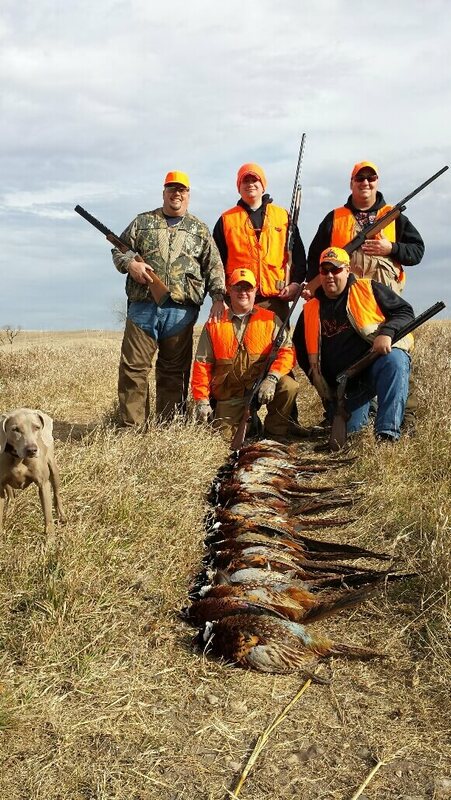 For a unique, exclusive South Dakota pheasant hunt and a quiet and friendly place to get away and relax with friends and family, come and visit us at A1 Al's Pheasant Ranch. "See you in the field!" Book your trip or event today! 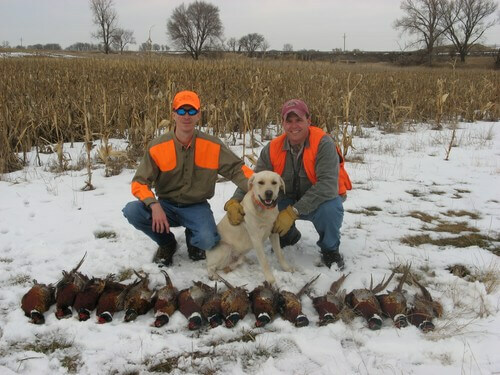 Enjoy your hunt on 6,000 acres of private property with our professionally trained dogs or bring your own dogs with you. Our guests have created long-lasting memories with their friends and family at our ranch. 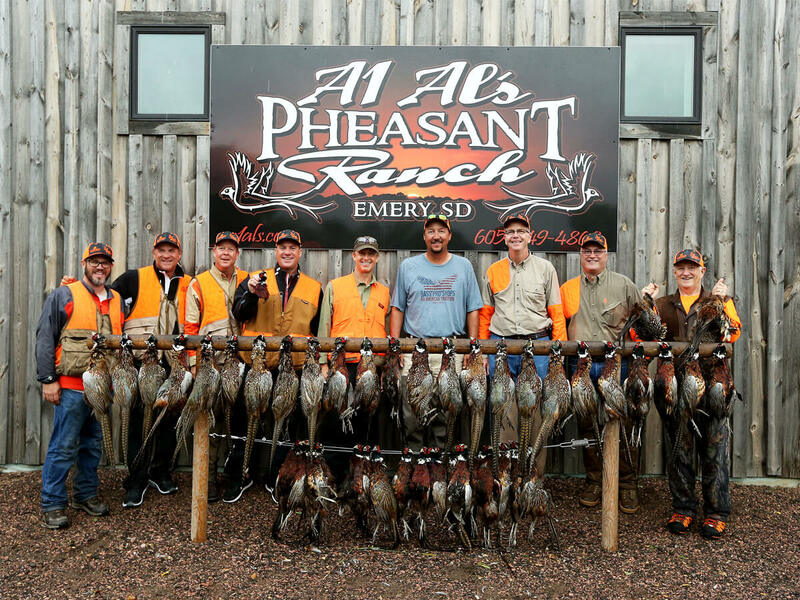 Book your South Dakota pheasant hunting adventure with A1 Al's! A1 Al's offers a beautiful 20,000 sq ft lodge for your all-inclusive hunt adventure. Our event center provides many amenities for our guests. We also cater to weddings, graduations, banquets, parties, reunions, etc. Plan your next special event with us and give us a call!